Make a creamy milkshake with peppermint Schnapps liqueur for a bit of adult Holiday fun. Think cozy winter dinner party or grown up get together. 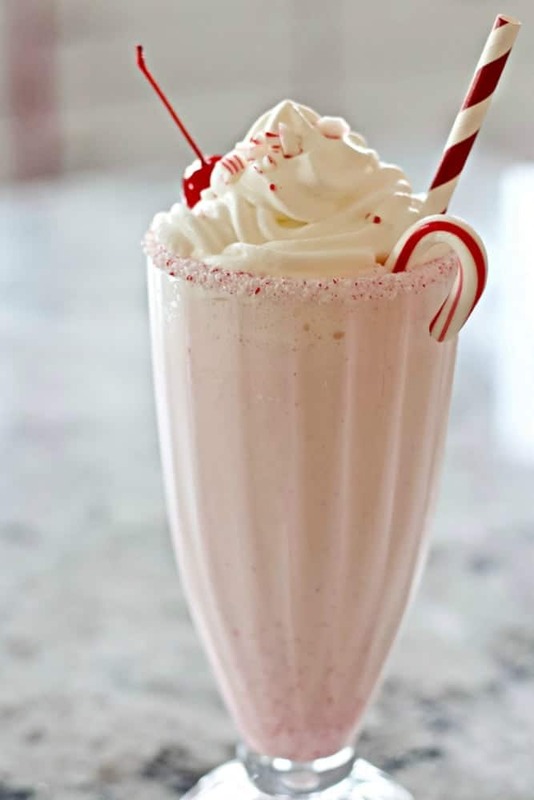 Enjoy this peppermint milkshake anytime you want a bit of soda shop feel in your adult beverage indulgence. We created this fun holiday party drink for a small dinner party. This peppermint schnapps milkshake stole the show! Everyone raved about them. And it makes a kinda special dessert too. So there you go. Dessert and after dinner drink all in one. Watch Us Make this delightful milkshake in the video. Want it virgin? Just omit the Schnapps and add more Peppermint candy! We served Homemade Hawaiian Meatballs over rice at our party. I made these Peppermint Schnapps milkshake cocktails with Maple Date bars for dessert finger food. The party was a hit and The peppermint milkshake drinks were Famously popular. We garnished these Holiday mixed drinks with crushed candy canes, whipped cream and a maraschino cherry on top. 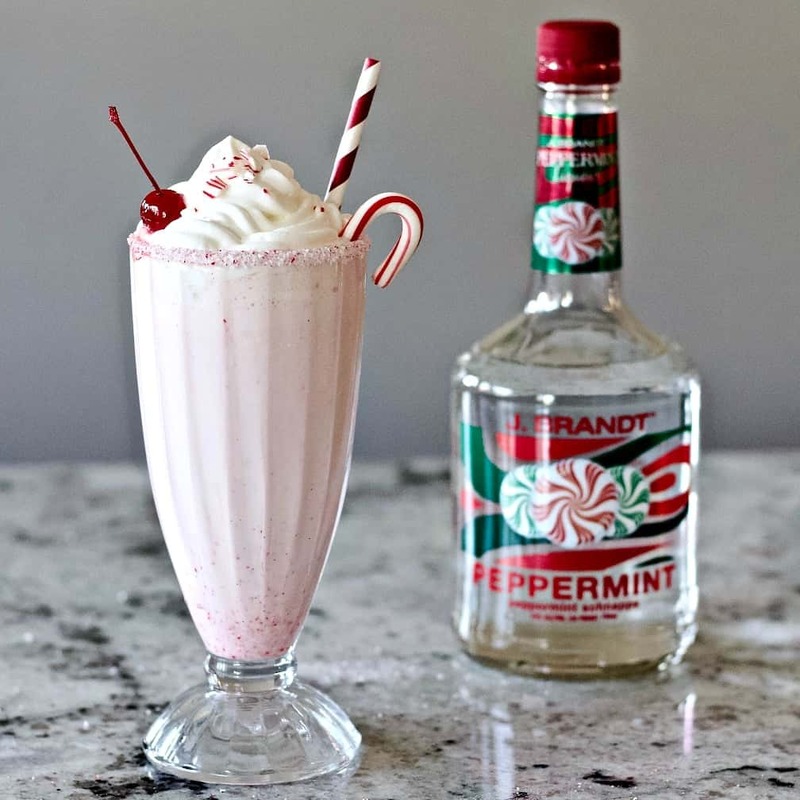 Peppermint schnapps milkshakes bring a cheerful holiday tone right into the party. The 30 proof Peppermint Schnapps gives a milder kick. The flavor is a light and creamy peppermint with just a hint of alcohol flavor. So good! Looking for More Holiday Party drink? Try these! homemade eggnog cocktail with sugar rimmed glasses are sure to please your guests. These delicious cranberry mimosas are just the ticket for anyway holiday gathering this year! they are so festive and pretty and they give off a delicious sparkly taste. These shakes are ridiculously easy to make, which makes them great party fare. Watch the Video to see how we make this simple Peppermint Schnapps Recipe. Peppermint Milkshake with Schnapps Liqueur in a candy rimmed soda glass. So festive! 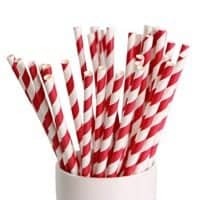 Milkshakes obviously melt quickly so to give your guests the best results, use these at a small, intimate event and make them just before you need them. Or, work in teams to get them made and garnished fast. After all, it’s ice cream! If you really need to hold them for a short time(30 minutes or less) store them in your freezer. NEED IT VIRGIN? Of course you can make these Peppermint shakes virgin drinks too. Just throw in more crushed candy and omit the Schnapps. Pure soda shop vibe. 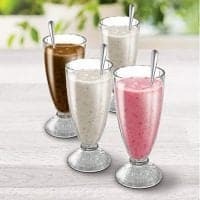 Our Homemade French Vanilla Bean Ice cream or any store bought vanilla bean ice cream is a wonderful rich base for this peppermint shake. We recommend you stick with vanilla bean or other vanilla ice cream with this recipe. The peppermint candy and Schnapps are plenty of peppermint flavor. About the Schnapps Liqueur. You can use whatever brand and proof you prefer. We have used both 30 and 80 proof. However…. IT MAKES A DIFFERENCE In the flavor of the milkshake. The Peppermint flavor (and booze flavor) gets more intense at 80 proof. Adjust this peppermint schnapps recipe as needed to please yourself. We used a 30 proof schnapps this time. It made a delicious, light holiday cocktail with only a mild kick. Just perfect for an after dinner dessert drink, girls night out or office party. 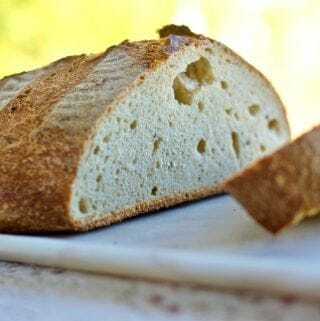 An 80 proof schnapps will add extra powerful flavor and more BOOZE too so be careful with it. 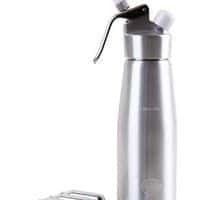 Whipped Cream Dispenser with 10 N20 Chargers are a great time saver. Just throw in your whipped cream ingredients. Pressurize and shake. Very helpful if your making this peppermint Schnapps recipe for a large group. 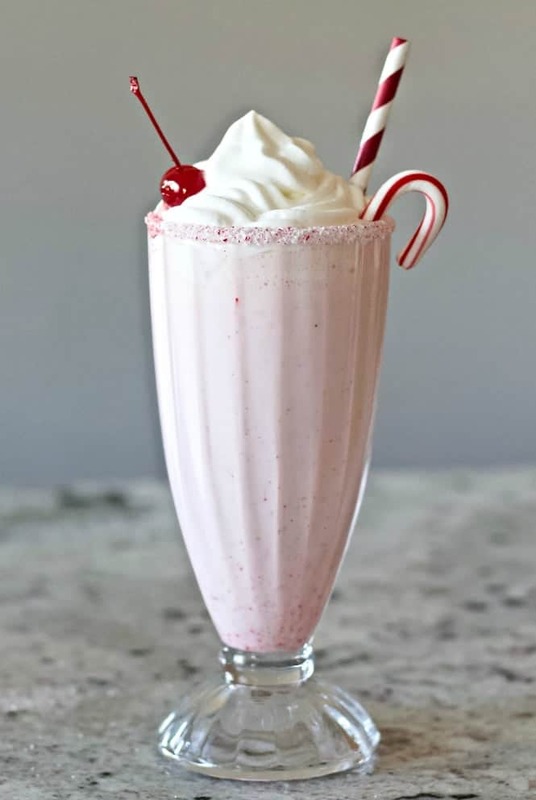 Garnish your peppermint shake with a crushed peppermint rim on your glass, whipped cream, crushed candy, cherry, and a mini candy cane. Don’t forget the straw! Use a pretty soda glass and rim the lip in peppermint for a festive ruffled edge look. Our video shows you the secret to making a beautiful candy rim. Make your whipped cream and layer it over the shake. sprinkle crushed candy cane on the whipped cream. 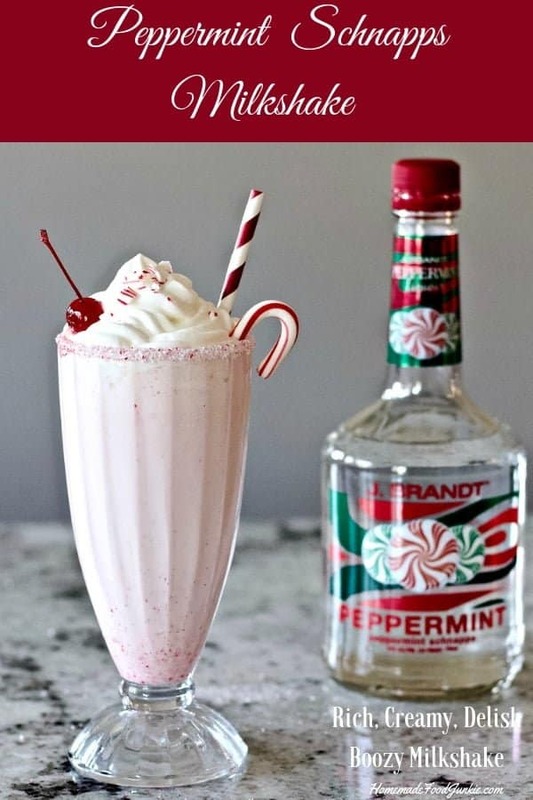 Peppermint Schnapps Milkshakes with vanilla bean ice cream and crushed peppermint candy makes a delicious Holiday Party drink. Treat your friends to this adult refreshment. All you need is a blender, a few yummy milkshake ingredients and peppermint Schnapps. Put 1 Cup broken candy candy canes into your blender and blend to fine crush. Sift the blended candy canes into a bowl. Reserving the chunks. Pour the FINE candy canes onto a shallow plate. On a DIFFERENT shallow plate: Pour a splash of the schnapps onto the plate. Turn your cup upside down in the schnapps until the rim is wet. Dip the wet rim into the crushed candy canes to collect the fine crushed candy onto the rim. Set cup upright and to the side while making the shake. Blend until combined. Pour into a glass, leaving 1/2 inch of head room. 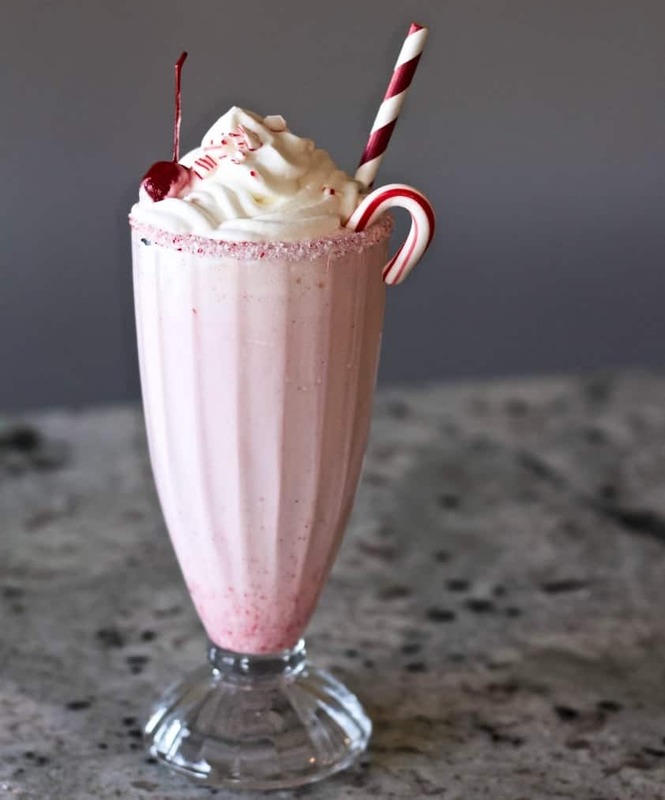 Layer the whipped cream over the shake, sprinkle with remaining crushed candy cane, and top with a maraschino cherry. This makes one 12oz. Glass serving with all the trimmings. If you plan to rim the glasses with crushed candy cane do this BEFORE you fill the glass. This milkshake is delicious, really great peppermint flavor. Lovely idea for the holidays! I adore the flavor combo! !